The patentee's tale - Patent my French! For some time, I wondered why the name “Gilead” in the trendy, horrifying, Margaret Atwood inspired TV show The Handmaid’s Tale sounded familiar to me. And then I realized that, yes of course, this is also the name of a famous pharmaceutical company, well known in the patent profession for being currently involved in a number of prominent litigation and opposition cases. 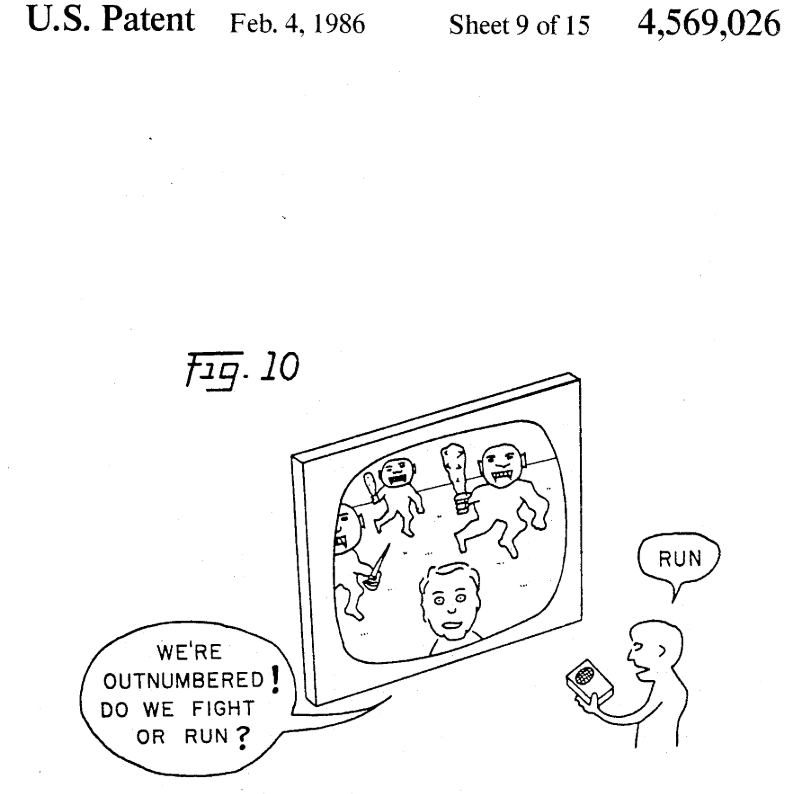 To some extent, patent disputes are like TV shows: they develop in episodes; sometimes unexpectedly, and sometimes not so much. Following-up on our previous report on the refusal of Gilead’s request for preliminary injunction against Mylan in the Truvada® litigation in France based on SPC No. 05C0032, which was handed down on September 5, 2017, the judgement on the merits has now been rendered by the Paris Tribunal de Grande Instance on May 23, 2018. A parallel decision was also handed down the same day (with the same outcome) with Biogaran as the generic drug manufacturer requesting the nullity of the SPC; it is commented upon here. As a brief reminder, Truvada® (Gilead) is an anti-HIV drug comprised of the combination of Tenofovir Disoproxyl Fumarate (TDF) and Emtricitabine (FTC) approved for Pre-exposure Prophylaxy (PreP) of HIV infection, since it has been shown to allow for a reduction of 86% of the risk of being infected by HIV. A pharmaceutical composition comprising a compound according to any one of claims 1-25 [N.B. tenofovir disoproxil is claimed in claim 25] together with a pharmaceutical carrier and optionally other therapeutic ingredients. (Emphasis added). In summary, the essential question asked to the Tribunal is whether the use of the expression “other therapeutic ingredients” to refer to emtricitabine (FTC) is indeed sufficient to protect the TDF/FTC combination pursuant to Article 3(a) of Regulation (EC) No. 469/2009 of the European Parliament and of the Council (i.e. the SPC regulation). […] The patent on the basis of which SPC No. 32 under litigation was granted neither mentions, in the wording of its claims, emtricitabine, the active ingredient to which the SPC relates in combination with tenofovir disoproxil, nor does it make it necessarily and specifically identifiable, nor does it mention a functional formula implicitly but necessarily and specifically relating to emtricitabine, so that the product is not protected by the basic patent and that the condition laid down in Article 3 (a) of Regulation (EC) No 469/2009 is not fulfilled. The future of TV shows envisioned in the 80s. After the first round, the second round is also for Mylan then. Let’s wait for the third round (appeal), bearing in mind that by then the CJEU should have handed down its own decision on the subject (pending as C-121/17). Article 3(a) of Regulation (EC) No 469/2009 of the European Parliament and of the Council of 6 May 2009 concerning the supplementary protection certificate for medicinal products precludes the grant of a supplementary protection certificate relating to active ingredients which are not specified in the wording of the claims of the basic patent. The fact that a substance or combination of substances falls within the scope of protection of the basic patent is a necessary, but not sufficient, requirement for it to constitute a product protected by a patent within the meaning of Article 3(a) of Regulation No 469/2009. A product is protected by a patent within the meaning of Article 3(a) of that regulation if, on the priority date of the patent, it would have been obvious to a person skilled in the art that the active ingredient in question was specifically and precisely identifiable in the wording of the claims of the basic patent. In the case of a combination of active ingredients, each active ingredient in that combination must be specifically, precisely and individually identifiable in the wording of the claims of the basic patent. (Emphasis added). Applied to SPC No. 05C0032, the Advocate General is thus of the opinion that “It would appear, subject once again to verification by the referring court, that, on 26 July 1996, the claimed priority date of the patent at issue in the main proceedings, it would not have been obvious to a person skilled in the art that the active ingredient emtricitabine was specifically and precisely identifiable in the wording of the claims of that patent” (emphasis added). Of course the opinion of the Advocate is not binding on the CJEU, but at present it appears there isn’t much suspense left for the third round. CASE REFERENCE: Tribunal de grande instance de Paris, 3ème chambre, 2ème section, May 25, 2018, SAS Mylan v. Gilead Sciences Inc. et al., RG No. 16/14214. Accepting the extension to the SPC to other therapeutic ingredients, and especially to emtricitabine, boils down to accept added matter in a patent and hence in any corresponding SPC. I am fully aware that scope of protection is different from the content of a patent, be it only due to Art 69 EPC and its protocol of interpretation. In my opinion, the position of the Advocate General applies as well to the famous Actavis/Elli Lilly. Pingback: The single question - Patent my French! Next Next post: Competence? Competence!